My college expierence along with tips to get you through! Self-care in college is something that people often times forget about or neglect to do, but it is definitely a necessity to staying sane and getting through college! Here are a few of my self-care tips! One of the most important parts of college is knowing your limits in regards to not taking on too many things. It is so easy to become overwhelmed with school, social life and clubs or groups you may be apart of. Always keep in mind that you are in college to get a degree, school trumps all at the end of the day. It is okay to say no to things, you don’t have to go to every event being put on and sometimes, it is okay to miss a class in order to catch up in other areas or you just need a break. If you exceed what you can actually handle it can become very overwhelming and make life miserable when it should be fun and worth wild! Knowing what is good for you and your mental health is so important to know or figure out. For me, I take Fridays to relax and forget about school for the day. I will sleep in, take a bath, watch TV and just take the day to recuperate from the stress of the week. If you like reading, block time out before you go to bed to read your favorite book to unwind! Take a bath and relax, watch some TV or play your favorite video game! Everyone has different ways to unwind and practice self-care and it is totally all up to the person as to what they want to do! Last year being a freshman was scary and sometimes I felt like all I did was school, eat and sleep and it was the worst feeling. I got to the point where I was having breakdowns more often than not about classes, friends and other things I was apart of. I decided to take a day and not go to class and just take the day to catch up on whatever I needed to and just relax and it was the best decision ever. Of course, I don’t recommend doing this every week because going to class is very important but if there is a week where you really can’t handle going to class, take the day and focus on getting your mental health back on track! As cliche as this sounds it is so important to have a person in college that you can go to when you are feeling down or going through something. It is such a different atmosphere in college because you don’t have family to run to when you have a bad day, although they are just a phone call away it is important to have that person you can sit down and just get all your stress and struggles out to. Whether this be a best friend or a counselor at the school, any form of ‘your person’ is important to ensure you can maintain your mental health! Those are my tips for maintaining self-care in college! I hope you guys enjoyed, if you have any questions or are struggling with college please feel free to email me at lifewithkarla@gmail.com or send me a message on Instagram! I would be more than willing to offer some advice or be a person to talk to! Do you guys have any other self-care tips? Check out my recent Instagram post here! Fall is by far one of my favorite seasons, I love the beautiful colors of the leaves changing, the chilly weather, going to the pumpkin patch, apple cider and so much more! Here are some of my essentials for fall! 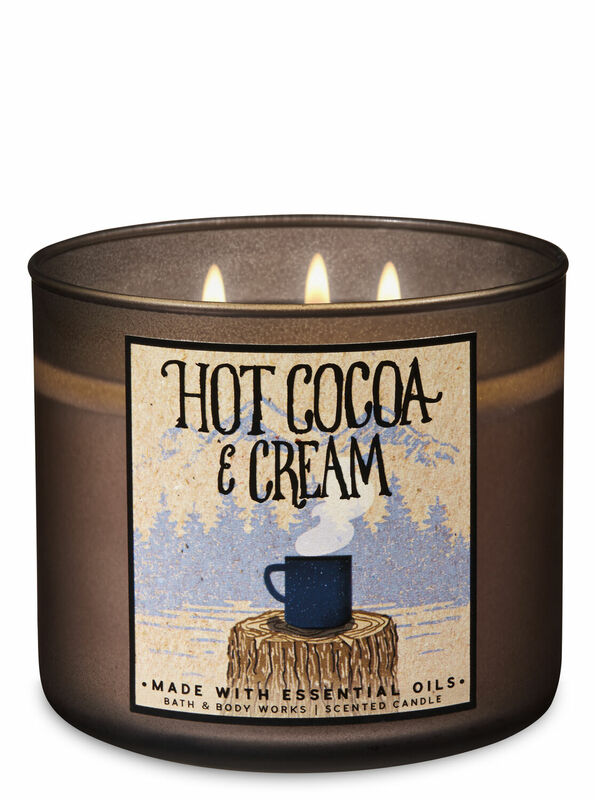 Hot cocoa and cream from bath and body works is by far one of the best scents! It makes your room smell like freshly baked brownies if that is the type of scent you like I would totally go for this one! You can check it out here. I got the flannel candle for Christmas and it was lit almost 24/7 in my room last year! This candle is more of an earthy and musky smell and it provides a freshness to the room without being too overpowering! 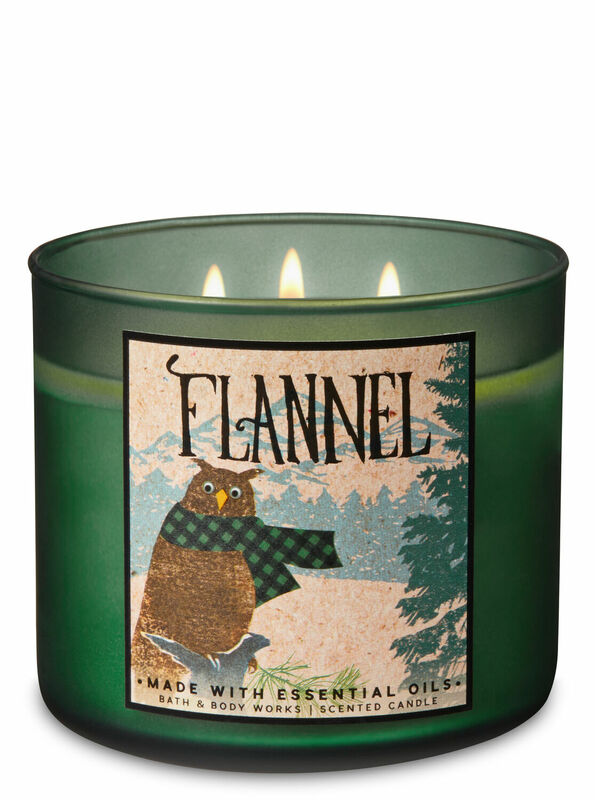 If you like more of the woodsy scent then this is for sure the right candle for you! Check it out here! Having my own apartment this year I for already knew I was going to decorate for every season! Having the freedom to decorate how I want is the best thing because Halloween is one of my favorite holidays to decorate for! Halloween is one of the easiest holidays to decorate for because it is so easy to DIY things and make it look cute! For me personally, I have multicolored string lights all around my apartment which add a pop of color and a good vibe. I also recently painted a canvas at a sorority event(I am not an artist so it’s trash) and it just adds that extra hint of Halloween to my wall. I get most of my decorations from dollar tree! They have cute and cheap decorations that you could even add your own touch to and give it something extra! A big fall essential in college is football tailgating! I looked forward to tailgating so much this year because now that I am a sophomore I know more about how tailgate works and how to dress for it! Because I live in Michigan, the weather can vary during tailgate season, on homecoming I wore a crop top and leggings yet last weekend for our rival game I work a sweatshirt, leggings, and gloves because it was snowing. Tailgating is definitely what you make of it! Have a good school spirit, rep your school and find an amazing group of friends to go with to make it that much better! At my school, we take tailgating pretty seriously and it is something everyone goes to and it is such a fun atmosphere to be a part of! Sweater weather is my favorite weather and fall is the perfect time to break out the fuzzy sweaters, flannels, and boots! My go-to during fall is a sweater layered with a flannel, leggings and black combat boots. There is so much you can do with a flannel to make an outfit unique and that much cuter and that is a big part of why I love fall so much! I am also a big sweatshirt and hoodie type of girl and it is easy to throw on and go to class in while still looking cute yet comfortable! Hoodies keep me warm and there is nothing better than being comfortable in class, especially the long ones that seem to drag on and on! Those are some of my fall essentials! I hope you guys enjoyed reading this post, I will for sure be doing a part 2 in the near future! If you guys have any more/specific questions about college or life, in general, ask me them below or on Instagram!